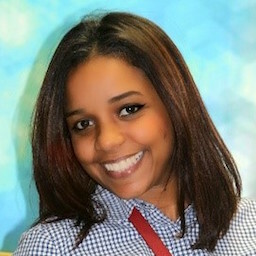 Keren Peña is a Program Specialist at Edify in the Dominican Republic. Keren graduated from Instituto Tecnologico de Santo Domingo with a B.A. in Marketing. In 2012 she moved to Michigan to pursue a Masters degree in Communications at Western Michigan University. During her studies in WMU she spent approximately 2-and-a-half years doing research in interpersonal and organizational communications, which provided her with good skills to better interact with the people living in the vulnerable communities in her country through her work with Edify. Keren Peña collaborates to implement technology pilot programs and coordinates the logistics for the visits from donors and sponsors coming from the USA. Previously, Keren worked for two non-profit organizations, in Education and Communications. At Compassion International she learned the importance of advocating for children living under conditions of extreme poverty.